CrowdIt announced that it will provide free media exposure to the first 64 crowdfunding projects that are submitted to its site by June 1. As an extra incentive to Dreamers interested in promoting their next big idea, CrowdIt will offer exposure by including a description of and a link to their project in a series of upcoming news announcements that will be distributed nationally, across the web and to targeted journalists across the country. Projects must be fully submitted in order to receive the no-charge publicity. Graf says the reason they selected the first “64” projects is because it mirrors the number of CrowdIt’s official launch date, June 4 (6/4). CrowdIt already has more than 200 people signed up on its site and is well underway in receiving submitted projects – all of which will have the same opportunity for added exposure. “We are more than mid-way in reaching our goal for submitted projects and want to provide support to those Dreamers who believe in the power of the crowd and what a virtual incubator, like CrowdIt, can offer,” he said. 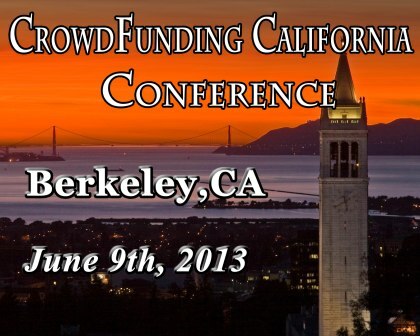 Crowdfunding – is it the answer to Startup funding? Graf is the CEO and founder of CrowdIt. He has received multiple business awards, including the Springfield Business Journal’s “40 Under 40” (2012) and Go Magazine’s “20 Under 30” (2006). Graf’s passion for business, marketing, planning and financing has helped other business owners through his position as a business intermediary with Murphy Business and Financial Corporation. His career includes finance, beginning in 2000 as a loan officer and later becoming a branch manager at Primary Residential Mortgage. In 2004 he founded Graf Financial Services and Paragon Global, where he served as CEO, owner and manager for three years. What: The JOBS Act and Crowdfunding: What is it and How Can I Use it to Acquire Capital Today? A simple definition of crowdfunding is fundraising through large amounts of people giving small amounts of money. Crowdfunding as a means of acquiring capital, is a growing trend and is expected to become a $300 billion market. The Jumpstart Our Business Startups (JOBS) Act was signed by President Barack Obama on April 5, 2012. The law modifies certain requirements new public companies must abide by and the length of time companies have to comply. The JOBS Act addresses, among other items, the number of shareholders a company may have, exempts companies from registering public offerings with the Securities and Exchange Commission, and relieves “emerging growth companies” from certain regulatory requirements. In this presentation, Graf will explain crowdfunding, the JOBS Act, and how entrepreneurs can position themselves to provide ancillary services in this emerging marketplace.